When you’re shooting those 360 degree videos, you’ve got to forget those standard camera rules which you had been using for so long. 360 video, the format which is similar to that of VR allows you to look up, down, right, left and behind is the entire craze right now. But in order to get such surrounding views, you would need a special camera and lots of patience. 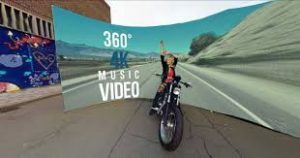 If you want to learn the art of clicking 360 degree videos, here are some 360 degree video tips that you should know before taking the camera in your hands. Unlike the conventional cameras, the camera for taking 360 degree videos like Ricoh Theta S has 2 lenses, one at the front and one at the back of the camera. To capture the 360 degree view, the camera requires more than one lens. You just have to point the camera to any specific direction and it can capture the people surrounding you, the space and every single object. You just have to hold steady and shoot the videos. You will come across a common term ‘behind the camera’ in the visual entertainment industry and it is said to the people who are involved actively in production. However, with regards to the 360 degree view, there’s nothing called ‘behind the camera’ as everything around is there within the camera. In case you don’t wish to be in the scene, you got to hide behind something. As the 360 degree camera shoots every single thing that is there in the scene, there is no requirement for tilting or panning the camera like you need to do with the conventional ones. This might seem to be tough at the beginning but you’ll very soon get used to it. Don’t move the camera unnecessarily as that causes dizziness. We are pretty aware of the fact that 360 degree videos and VR are the coolest things in the gadget market. It is vital for users to play and experiment. But before investing your dollars, know what your goal is, whether or not you really require shooting in 360 degrees. By finding the answers, you can plan your work in a better way. So before you place your hands on a camera to shoot a 360 degree video, make sure you know the above mentioned points. Know more about how to use latest camera and gadgets here.